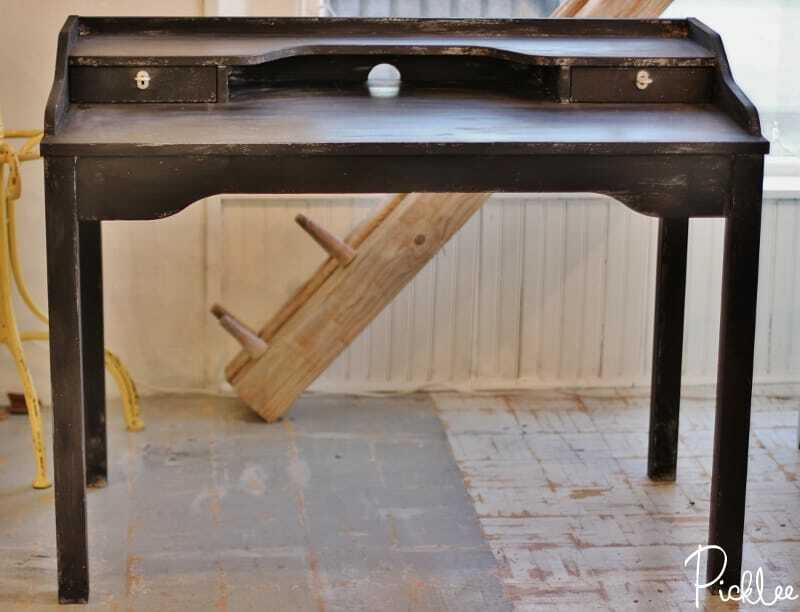 To achieve the vintage dark metal look on this desk, I started by painting it with a solid coat of CeCe Caldwell’s Pittsburgh Gray. About 30 minutes after applying the Beckly Coal it was pretty much dry to the touch. 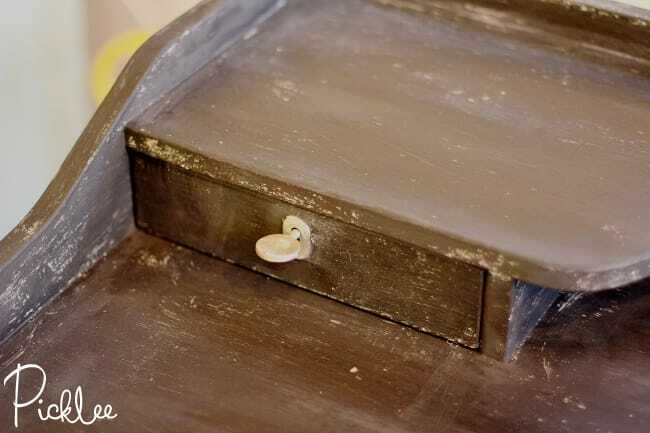 I then used a 220 grit sanding block to lightly distress and blend the two colors. Finally, I sealed the desk by buffing on a coat of clear wax! 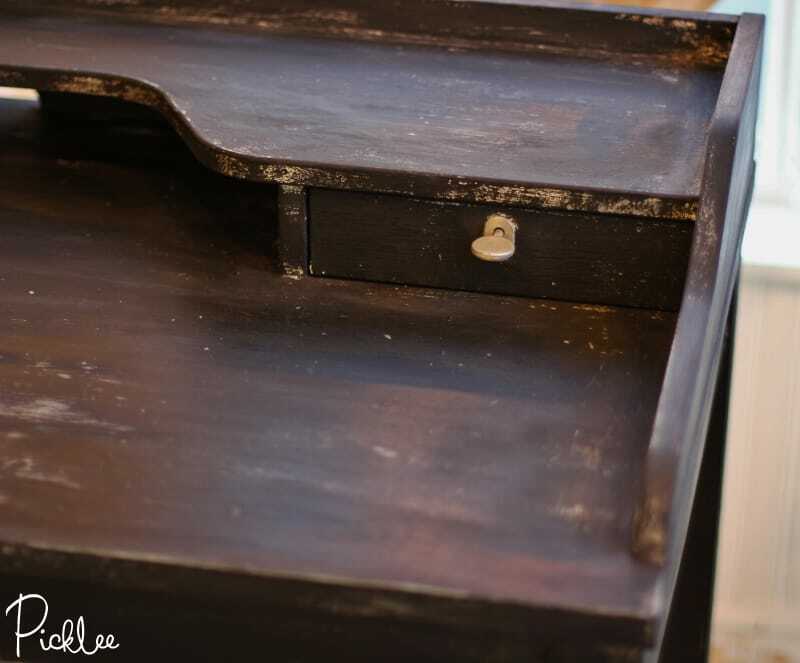 The dry brushing & sanding process gave the desk a perfectly distressed, pitted finish! Find more furniture flips here!